For much of the week the north was under a grey blanket as a mini panza de burro (belly of the donkey) moved in. 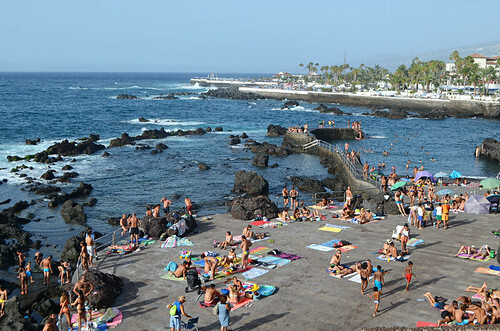 The south of Tenerife enjoyed mainly sunshine throughout the week. The predicted hot weather alert was raised over the weekend with temperatures searing inland especially. Coastal areas whilst hot were a bit more bearable and in the north the donkey trotted away leaving a weekend of sunshine and blue skies. It should be mainly sunny in most places with the north experiencing cloudy spells on some days. It will be another hot week with temperatures in the upper 20s for most of the week. However, a weather alert has already been issued for Tuesday and Wednesday when shade temperatures in the east, south and west are expected to reach 34C. The north escapes the alert as shade temperatures should peak at 31C. 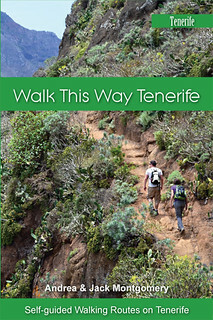 Moist cloud would be welcome for some of this week at least as this is the time thousands of Canarios make their way across the island on foot to honour the Virgen de Candelaria. Subsequently the risk of forest fires increases. Every year at this time we desperately hope none of the pilgrims get careless with cigarettes etc. 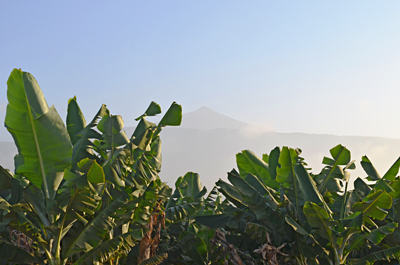 Weather in South Tenerife – It should be mainly a sunny week with some light cloud between Tuesday and Saturday. Temperatures should stick around 29/30C for much of the week, rising to 33/34C on Tuesday and Wednesday before dropping back to 29/30C for the remainder of the week. 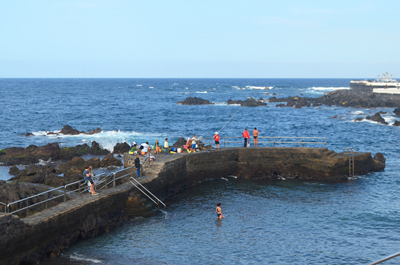 Weather in North Tenerife – Monday starts with more cloud than sun, Tuesday should be sunny with some light cloud, Wednesday could have a hazy sunny morning and a mix of cloud and sun in the afternoon. It should be mainly sunny from Thursday through to the end of the week. Monday will have shade temperatures of around 25C, climbing to 30/31C on Tuesday and Wednesday before settling back at 27/28C for the second half of the week. Weather in East Tenerife – It should be mostly sunny with a few clouds about, especially over the weekend. Temperatures should stick around the 25/26C mark except for Tuesday and Wednesday when they rise to 28C which doesn’t tie in with other advice from the Spanish Met Office which also shows there is a weather alert for Tuesday (28C isn’t high enough for an alert to be raised). So as is usual during summer, the Santa Cruz forecast is unlikely to match up with reality. 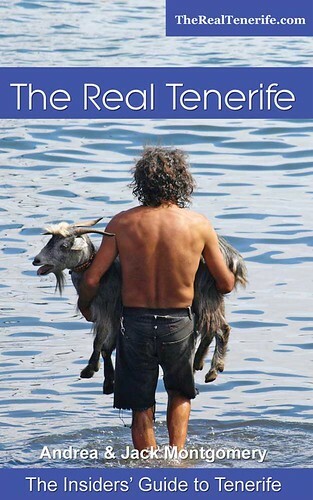 Weather in South West Tenerife – Apart from Wednesday when there’s a mix of cloud and sun, it should be a sunny week with only a few of the fluffy ones about. Temperatures start the week at 29C before shooting up to 35/36C on Tuesday and Wednesday. After that they settle, but only to 32/33C until Sunday when they’ll be a more bearable 28C. 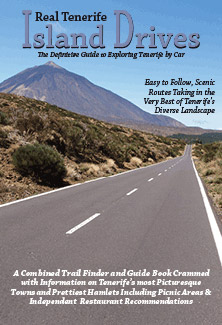 Weather in the Mount Teide Crater – The week should start and end sunny in Teide National Park and on the summit of Mount Teide. But between Tuesday and Friday there could be a mix of cloud and sun with the possibility of light showers. 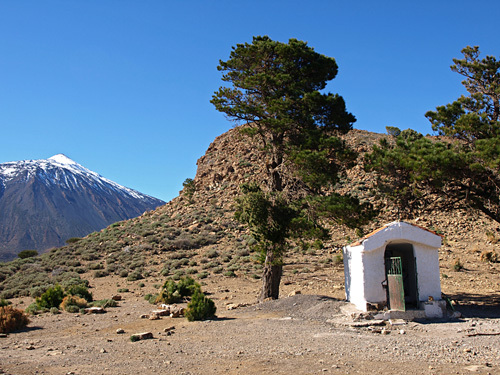 Temperatures should hover between 16 and 23C in the crater and 8 and 13C on the peak of Mount Teide. Tuesday and the weekend could see relatively strong winds sweep across Teide’s peak, so check the cable car is running before setting out for the park on those days. 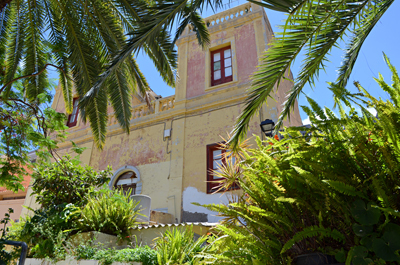 Pic: 7pm on a sunny Saturday night in Puerto de la Cruz.